The Nonsemble presents [Up]Rising: An Afro-Future Her-Story. Join our host, Don Cheadle and emcee Garth Trinidad of KCRW for an evening of post-modern South African music. 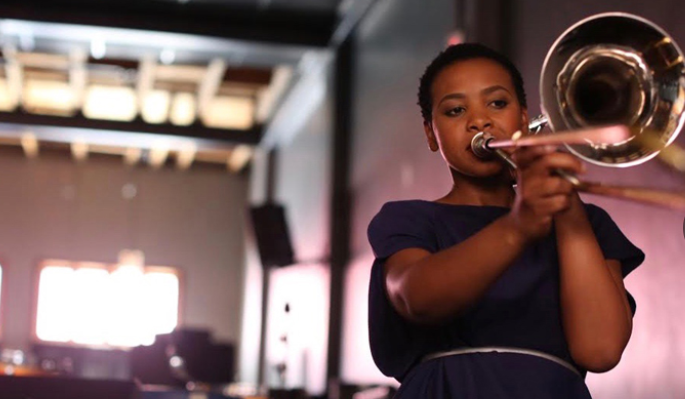 Siya Makuzeni will perform with her trans-Atlantic jazz sextet (and a few very special surprise guests) interspersed with the signature post-punk and blacktronica sounds of her alter-ego “Ippyfuze,” all of which is informed by her South African heritage. Joining Makuzeni for our celebration of South Africa’s National Women’s Day will be singer-songwriter Thandi Ntuli with her soulful voice and jazz piano. Other performers are slated to perform, including LA-based KATALYST [The Collective].